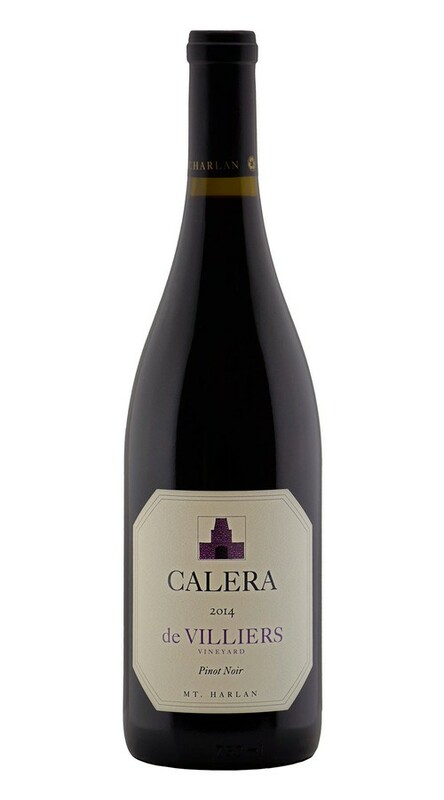 Intensely wrapped blackberry, briar, caraway and crème de cassis jump from this 2014 de Villiers vineyard Pinot Noir. Beautiful mouth-filling rich dark fruit flavors complement the broad, deep, taut, tart structure. This wine is complex, tight and nervy with a large personality and lots of flavor. Little rainfall in 2014 led us into our third year of a drought. Warm spring temperatures and brilliant sunshine through the summer made for a fantastic growing season, but yields were severely affected by the lack of rainwater. This made for a fast, furious and early harvest. We picked the de Villiers vineyard in four separate passes starting on August 26th and ending on September 13th. Each lot was pressed 14 days after harvest, racked by gravity to French oak barrels, then aged without racking in those barrels, 30% new, for twenty months. The lots were then combined and the resultant wine was bottled without filtration, as always.